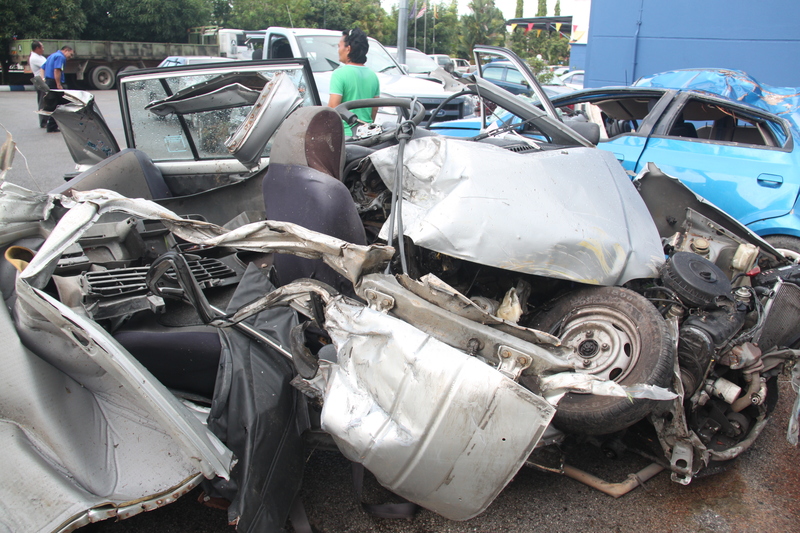 At about 10.45am, May 2, 2012, I lost two of my colleagues in a tragic car accident. They were Gaing and Patricia. Both were on their way back to the town, Mukah after covering a function outstation. 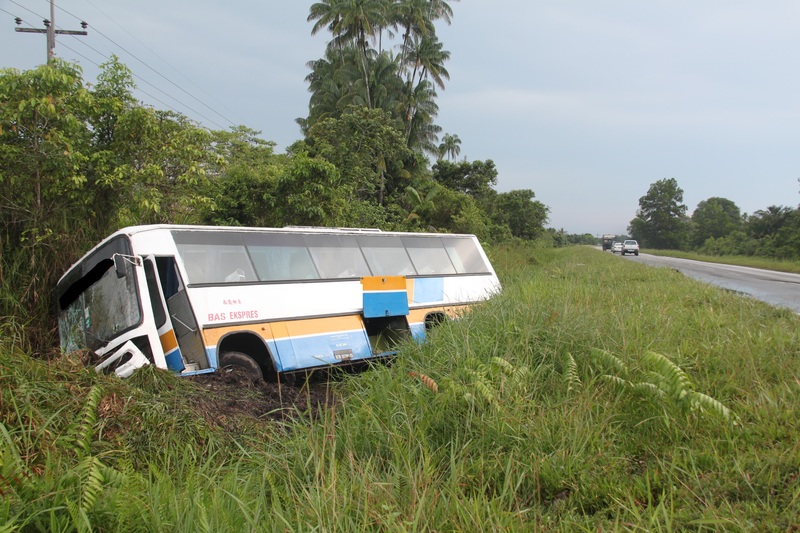 They had about 20km left to reach Mukah when the car Gaing was driving collided head-on with a bus. It is believed that the bus was overtaking a lorry when it happened. Both died on the spot. Their faces were beyond recognisable and the car they were travelling was completely destroyed. I received the devastating news almost 1pm that day and was assigned to rush to the crime scene and Mukah town, which is about three hours drive from Sibu. Gaing was from The Borneo Post (English paper) and Patricia was from See Hua Daily News (Chinese paper). BP and SH Daily news are sisters paper, we are from the same company. Both deceased were the only reporters covering the small town of Mukah. Gaing joined BP in March 2006 and he gladly accepted the company’s offer to transfer him to Mukah in December 2008, while Patricia was transferred recently. She joined SH Daily News as a feature writer on May 1, 2009 before she was transferred to Mukah. May 1, 2012 was her first day of working in Mukah. I joined BP in September 2009, which was about a year later after Gaing was transferred. My colleague told me about Gaing a few weeks I started working in BP, but I never actually met him. We officially met in 2010 during Chinese New Year. Him together with his wife and son joined our group for CNY visiting. Gaing visited us in Sibu sometimes; sometimes to settle some stuff and sometimes just to drop by and say ‘hello’. Although I do not know him very well, but through few meetings with him, he is a very nice, friendly and down-to-earth person. The news of his sudden death was a lot to take in. I probably panicked a little for a few seconds when the news reached my ears. I do not know what caused the panic. I do not know whether it was the death or was ordered to immediately rush to Mukah to cover the news story, or it could be a combination of both. But I managed to calm down a few seconds later. So yes, I went to Mukah and got some stories about the accident. Two days after the news was published on the paper, I was assigned to cover the funeral ceremony of Patricia. Her body was brought to Nirvana for cremation. 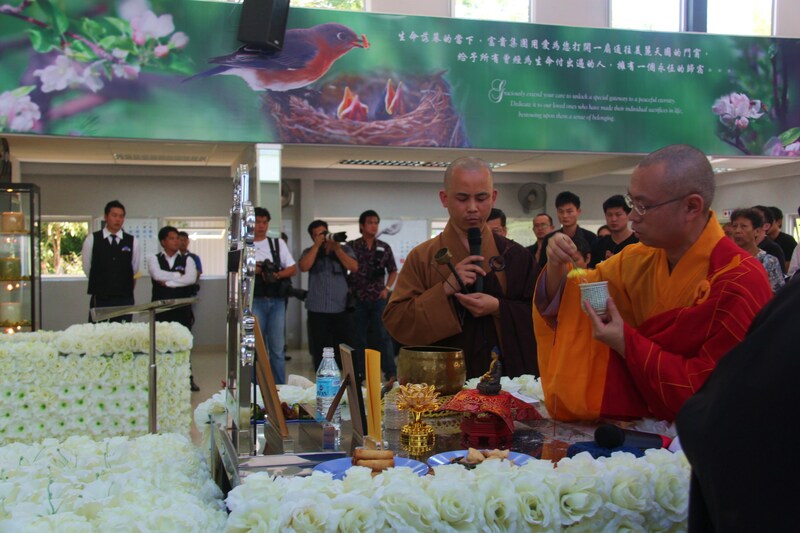 After the one-hour long Buddhist rites, her body was finally brought in for cremation. Then came Gaing’s burial ceremony the next day. This time I went to the ceremony as a friend not as a reporter. It was painful to see his 10-year-old son cried when it was time to bring down the coffin and bury it. The boy was crying ‘Papa…papa…papa’. 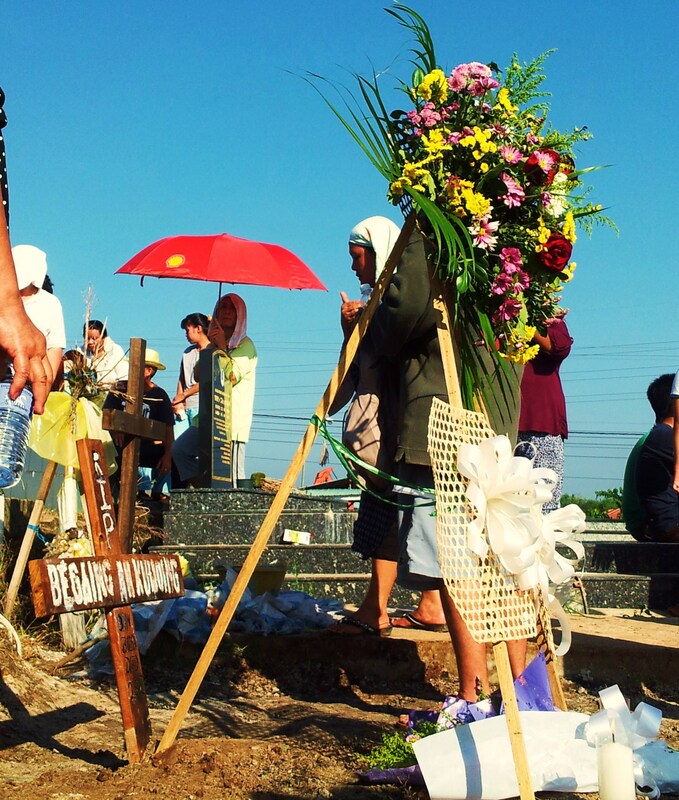 When everything was done, Gaing’s wife knelt down touching the cross, which said ‘RIP Begaing Kunding’ and cried. I’ve covered quite a few funerals before, but it was a different feeling this time. Maybe because I know these people and it was scary. Not the deaths are scary, but the pain of the loss was so real. They will always be remembered and may their souls rest in peace. May God brings comfort to the mourning families, relatives and friends. It is. Everybody was so shocked. It has been an exhausting and tough week especially for the family. The bus driver is now detained and investigated. That’s good to hear. Lots of crazy drivers here in the Philippines as well. You’d think they were on drugs!